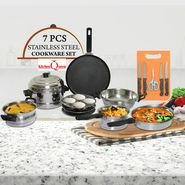 Doesn't matter whether you are a culinary expert or just the regular cook of your family, the cookware & bakeware are meant to abet you the most convenient ways of cooking in a bit enjoyable manner. These appliances vary greatly when you consider the price and quality. 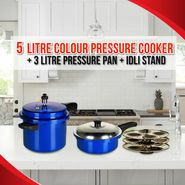 Always go for those which strengthen the bond between you and your cooking chore. Yes, it's always important to nourish a healthy relationship between your heart and cooking so that you can never feel tedious or monotonous while doing the job. 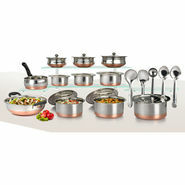 The advent of microwave cooking has introduced special glass made utensils and serving platters in the market. And they are grabbing much of the working women's attention because of their fast and efficient utility. 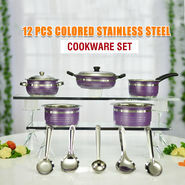 Feel free while placing these items on stove tops or into the oven or on the refrigerator shelves. These are one of the ideal pieces having temperature resistance capability in their nature. 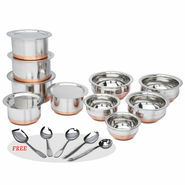 Also, you can bring them on your dining table using them as serving dishes. Happy Cooking 'in' & 'out'! 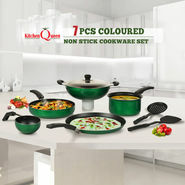 Be it indoor or outdoor, cookwares are always there when there is a cooking arrangement. 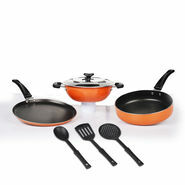 For camping, hiking, canoeing or other adventurous expeditions, there are different kinds of cooking accessories. They are generally far tougher to complement a rough and long-drawn-out use. 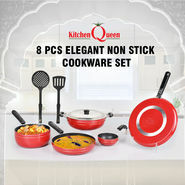 Similarly when you are cooking for your family, you always desire to have long lasting cooking accessories rather than a fragile one. 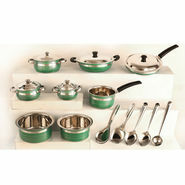 The light in weight yet durable pots and pans are made up of aluminum. 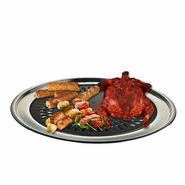 Cast Iron made pans has versatile capabilities including a fair distribution of heat during preparing the food. 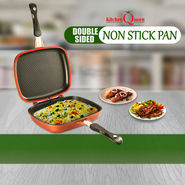 Most of the women prefer non-sticky pots and pans so that the food does not keep glued even after you finished cooking. Seriously, you don't even need to be a chef just to own these items in your kitchen set up. 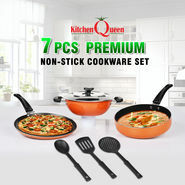 But it feels good if you have beautiful and handy pieces available in your cooking room for absolute help to do the job rightly.